This image in this Largo condo shows the color red being warmer than the color blue. 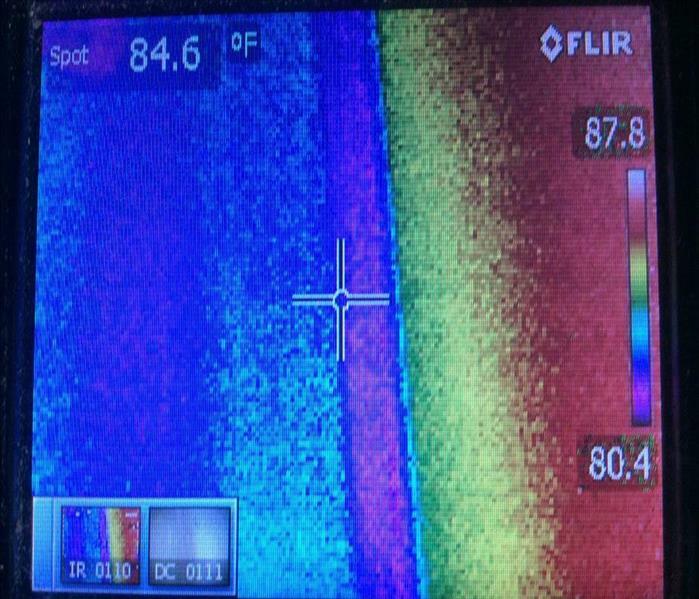 When this image generated from a FLIR infrared imaging camera is directed to sections of a wall cavity, it can detect hidden pockets of moisture. The blue is cooler, indicating possible dampness. 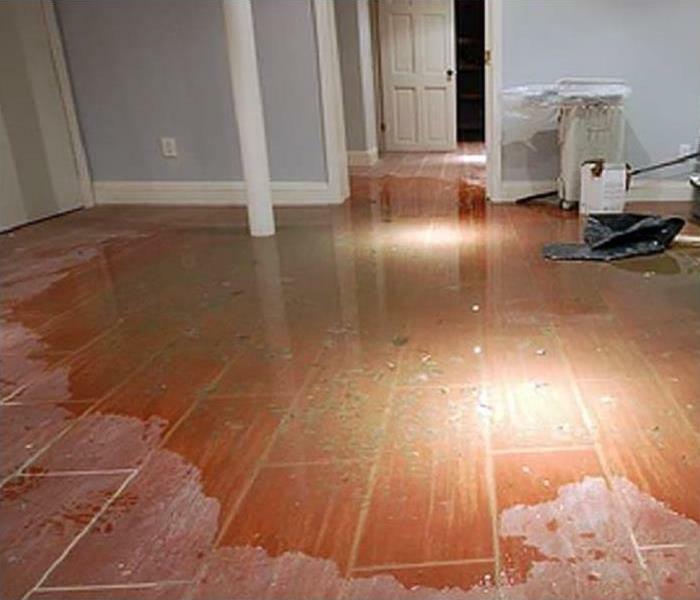 That is Why SERVPRO is a premier water damage cleanup and restoration company; we have advanced state of the art equipment to provide the best possible service to our customers. Kitchen water damage is quite common because of dishwashers, ice makers and other appliances which use water and can fail all the while dumping large amounts of water in your kitchen area. Don't despair. Contact our experienced team to mitigate the situation and remediate any damage. 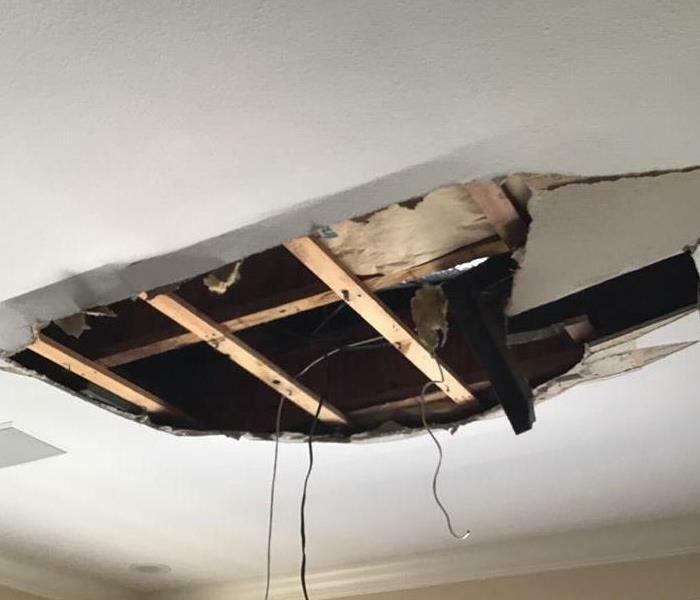 Water damage at this Largo home resulted when a roof leak developed allowing water to enter the attic and collect on top of the drywall ceiling. The inevitable result was the drywall falling to the floor below. 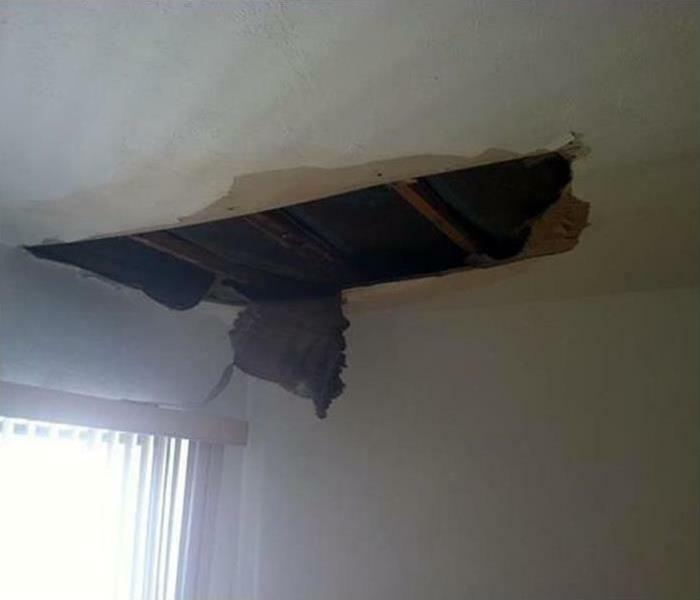 SERVPRO of Largo could locate the source of the water damage and facilitate repairs and dry all of the affected areas before repairing the hole in the ceiling. Simply removing water after a flooding incident in a Belleair Bluffs condo is not enough. 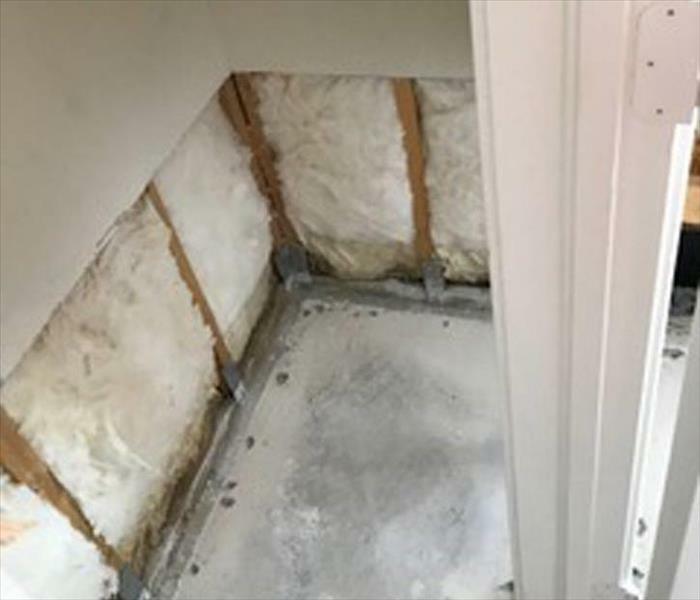 The flood cuts made by SERVPRO technicians in preparation for new drywall panels (the insulation has already been installed) is why SERVPRO makes our Belleair Bluffs customers pleased. It does not matter if your property is a hotel, apartment building, restaurant, small office building, or large retail store our team can handle any size disaster. Our team of experts is prepared and ready to respond to your call 24/7. SERVPRO of Largo has the equipment, training, and experience to restore your property to pre-damage condition. 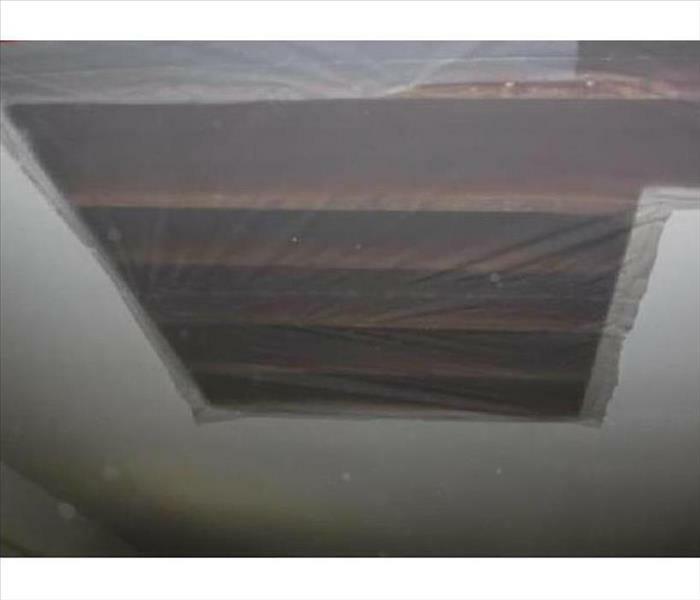 The moisture in the attic allowed mold spores to spread and ruin the cardboard backing on the ceiling drywall material. Belleair Bluffs, located on the Gulf Coast, needs adequate ventilation and a/c control to prevent condensation buildups leading to mold remediation. 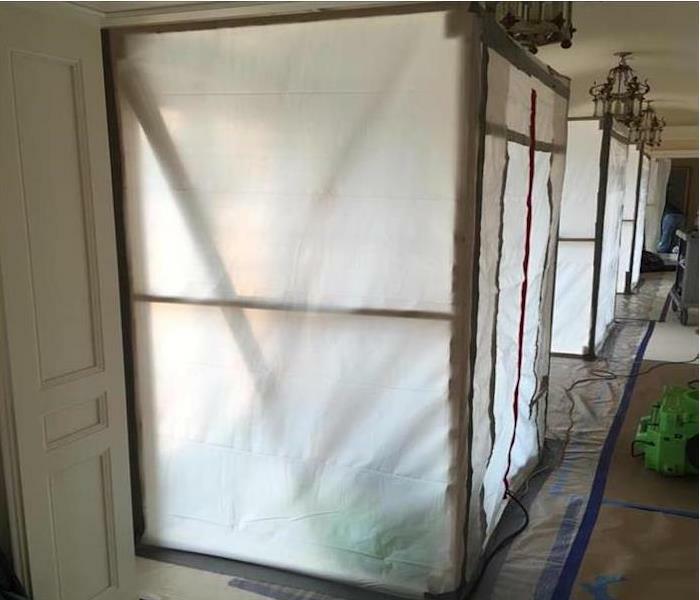 SERVPRO techs can create barriers to isolate and treat the affected areas of the structure. Flooding can occur anytime, and our team is ready to assist you 24/7. Immediate action is required when dealing with flooding, and our crew will arrive at your home quickly. Our technicians have the state-of-the-art equipment and advanced training needed to restore your home to pre-damage condition. 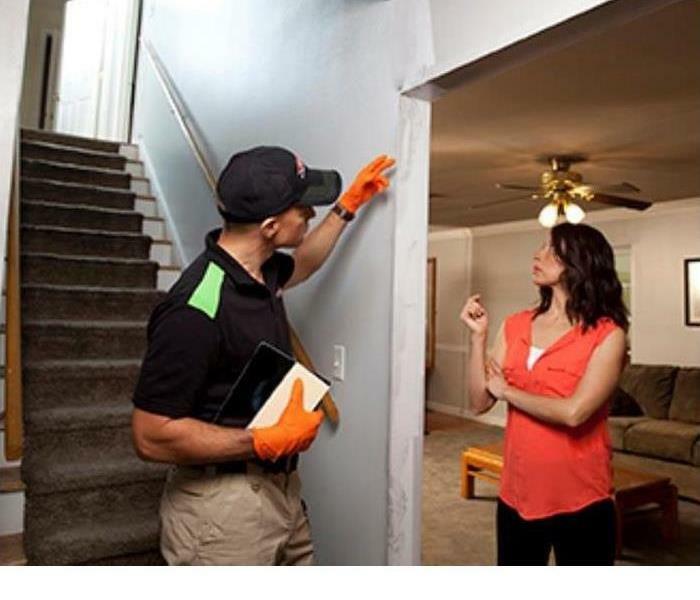 SERVPRO of Largo is a leader in the restoration industry and Faster to Any Size Disaster. 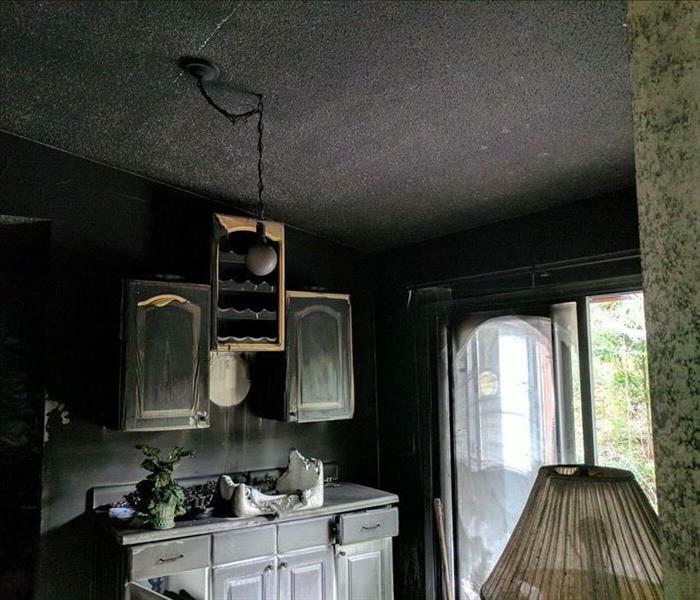 Often, the smoke residue and odors from a small to medium fire disrupt a household in Bellaire Bluffs more than the actual flames resulting in charred possessions. 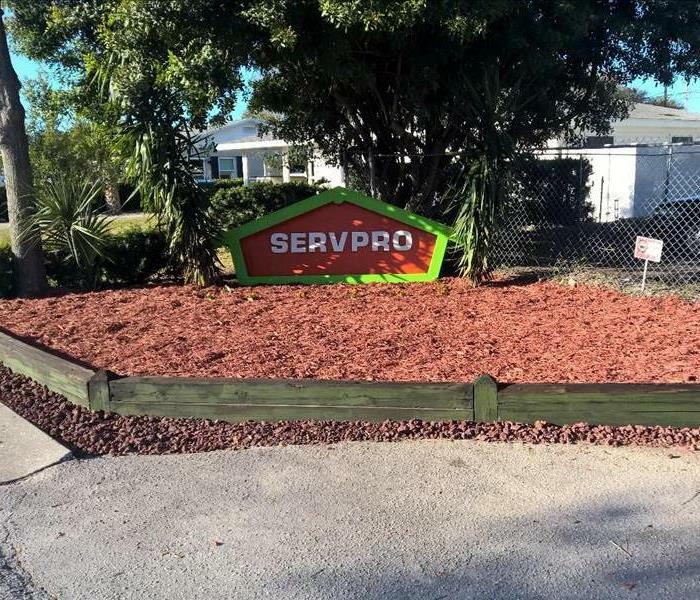 SERVPRO crew members can utilize specialized cleaning products and sponges to remove the initial layer of blackened coatings as the smells are also being addressed. Water damage to this Largo home left behind a musty odor which suggested that the mold content in the air was too high. 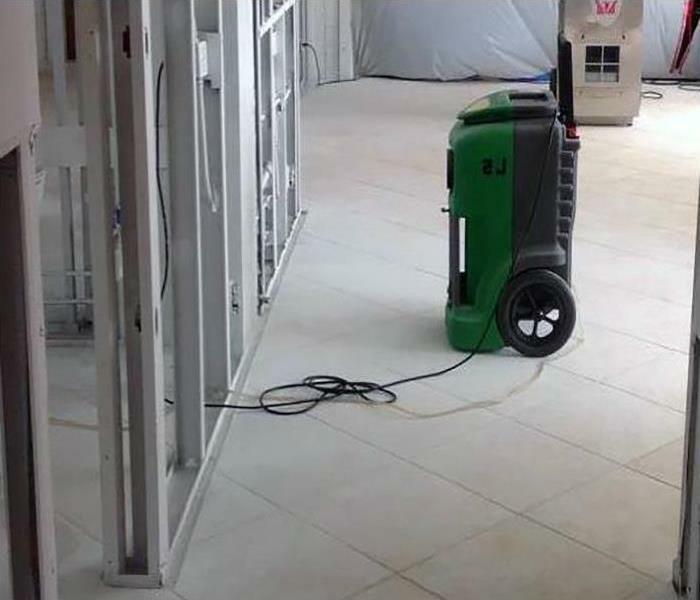 When faced with this sort of odor problem our trained and certified technicians would set up dehumidifiers and air movers to remove the moisture from the air. Pictured is an air sampling device used to measure the mold in the air. 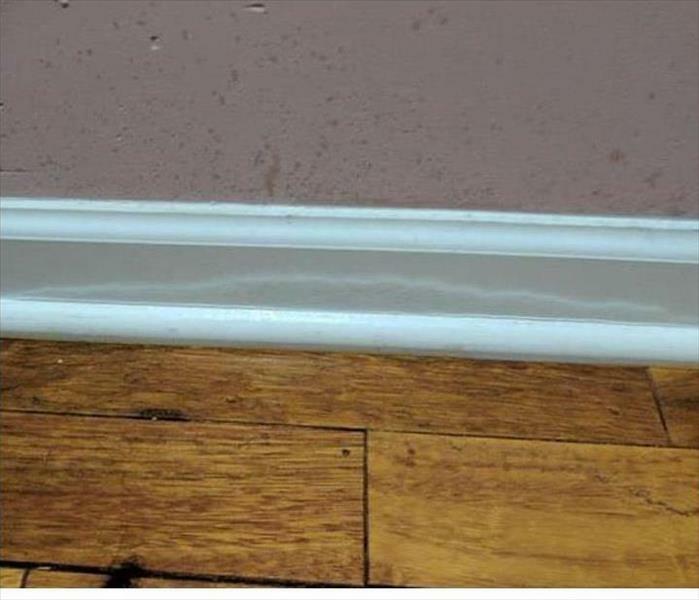 The water absorption into this hardwood flooring in a Largo home caused the "cupping" effect visible in this photo. Our SERVPRO of Largo team arrived right after the homeowner's urgent call for help. We vacuumed up the standing water and then set up numerous air movers to accelerate the evaporation process. The LGR low grain refrigerant dehu then pulled the water vapor from the air. Fast response, professional service and we managed to save this expensive hardwood flooring. "Like it never even happened." The massive mold colonies behind the vinyl wallpaper were discovered by the Belleair Beach condo dweller because of the foul, musty odor. SERVPRO cautions these homeowners to set the HVAC to turn on each day to reduce the level of accumulated humidity. Ask us for advice or help with the mold remediation. The leak from the water dispenser soaked the baseboard and wall which started to grow mold in this Belleair Bluffs condominium. 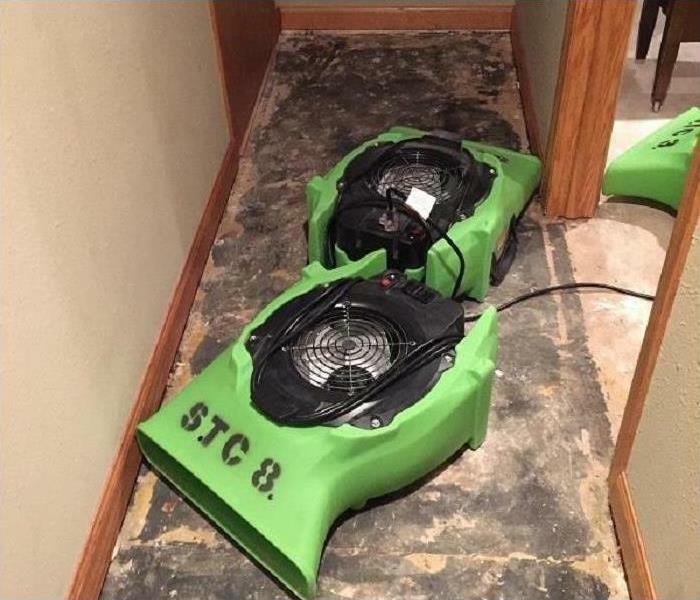 SERVPRO crew members can dry the area to limit the water damage. Drying the floor planks was also a success. Fire damage at this Largo home was caused by an electrical fire. A patch of drywall caught on fire. The damage was not extensive and did not require the family to move out. 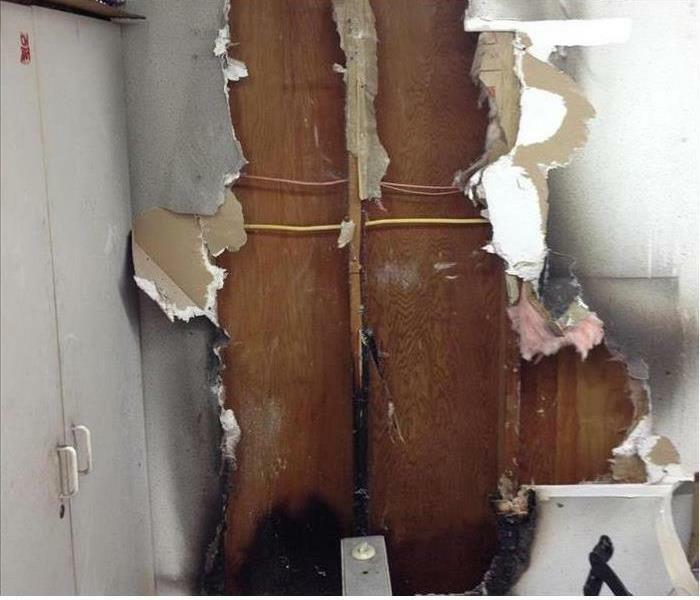 SERVPRO of Largo could safely tear out the damaged drywall and attend to the smoke odor. Special thanks to our very own auto detail expert Tim Crain. The amount of miles we put on our fleet every month is very demanding on the vehicle wraps and paint jobs. Tim keeps us looking our best while we are out driving the highways and streets of Clearwater-Largo serving our community. Tim makes that dirt and road grime "Like it never even happened." The crew at SERVPRO of Largo is your best option when it comes to storm damage cleanup and restoration. We provide 24-hour emergency service, and we pride ourselves on our fast response to any storm damage emergency. We are leaders in the restoration industry, Faster to Any Size Disaster, and locally owned and operated. 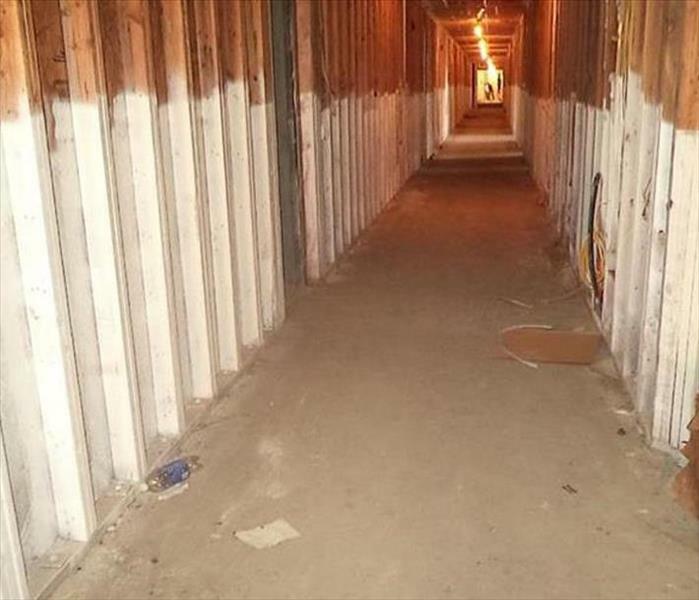 This storage area for a condo building in Largo sustained high-water flooding. 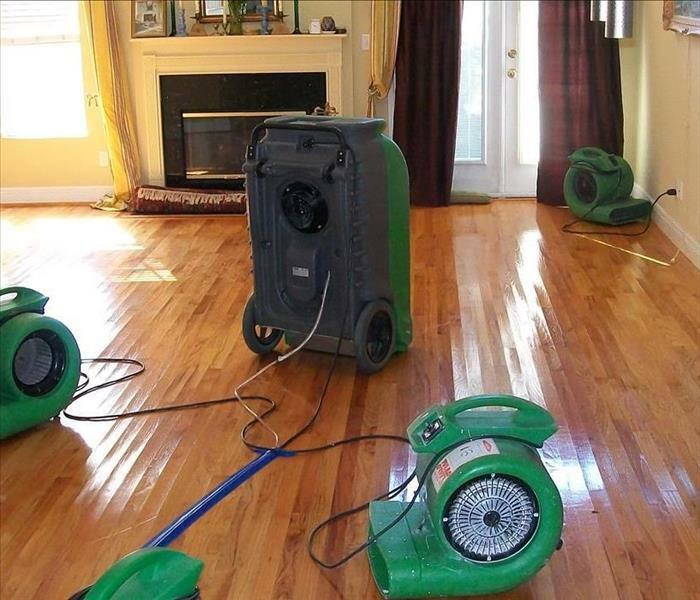 SERVPRO has the ASD applied structural drying technicians to extract the water to mitigate the damages swiftly. Then they can after dry, apply an antifungal/odor suppressing primer to the exposed studs and sheathing. It takes a little bit of moisture to encourage dormant mold spores to develop into patches as shown on a Belleair Bluffs. Removing the fungi and remediating the effects are a forte of SERVPRO of Largo AMRT technicians. 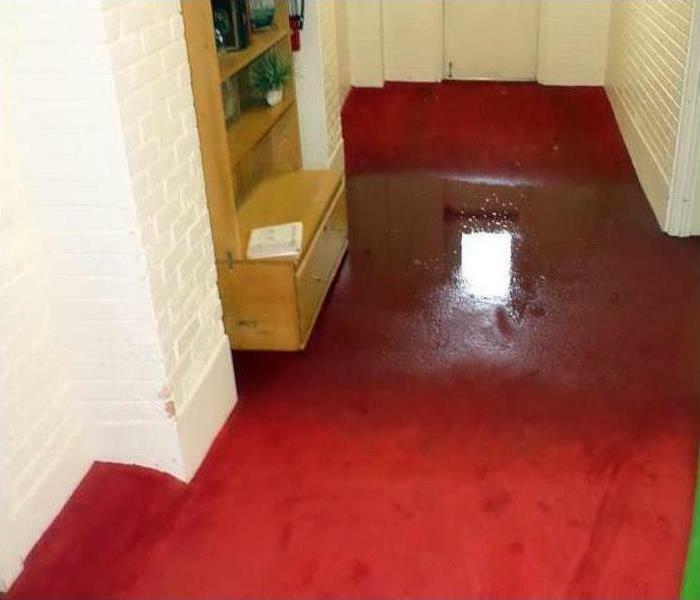 Having your hallway covered in water is not ideal for you or your staff. 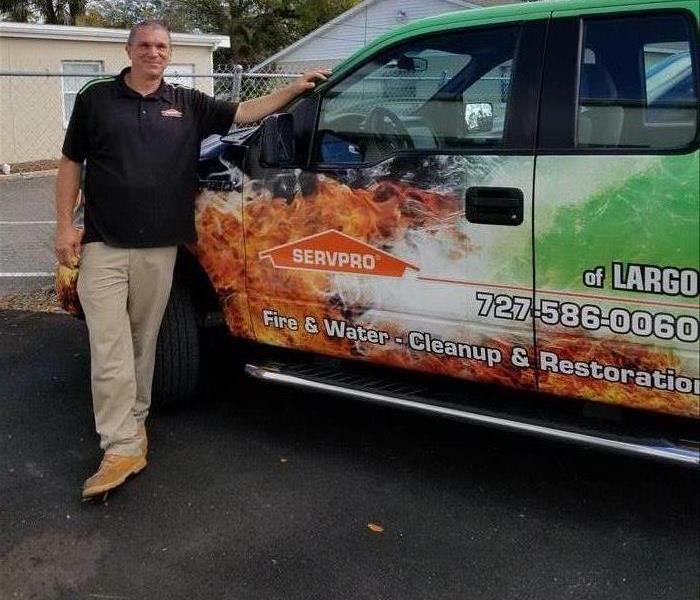 When it comes to commercial water damage, there is only one company in the restoration industry that can help, and that is SERVPRO of Largo. Time is money, and our professionals will work quickly and effectively to return your property to pre-damage condition. We’re Faster to Any Size Disaster! 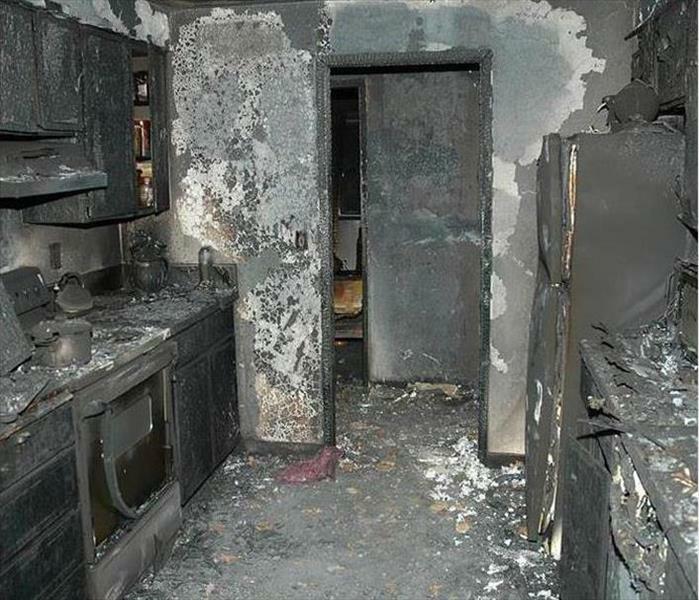 This condo kitchen in Belleair Beach was devastated by a fire. SERVPRO can clean up the charred debris and mitigate the migration of smoke odors and stains to other areas of the unit. 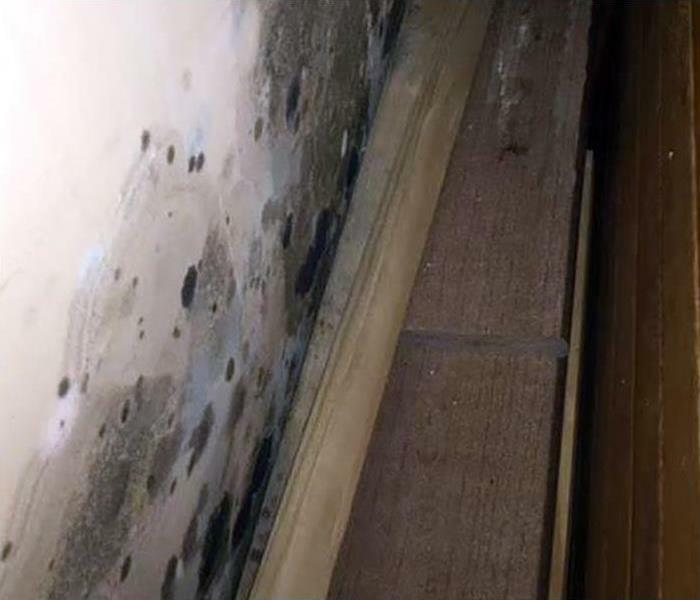 Finding out that you have mold growing on your property can mean damage to your home and potential health issues. 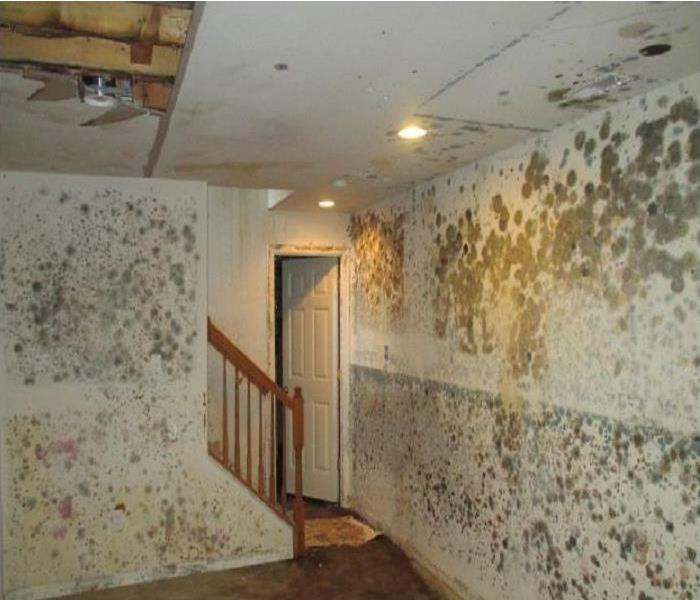 At SERVPRO we understand the dangers and myths that surround mold. 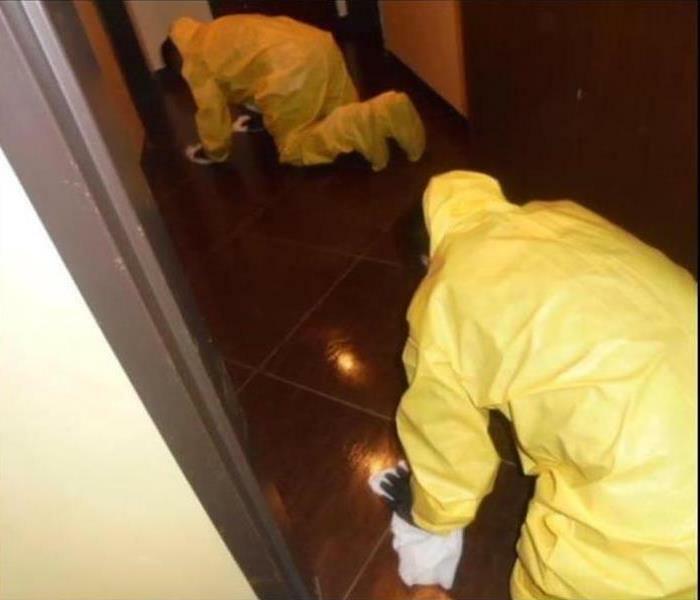 With our advanced training and specialized equipment, we can tackle any size mold infestation that you may have. 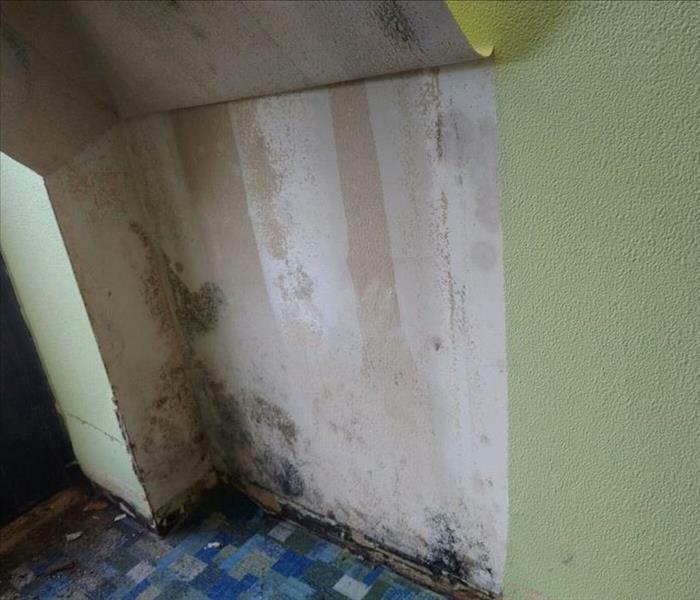 Trust our mold remediation specialists to restore your property to pre-damage condition. Contact our team if you locate mold on your property. When lower levels of homes in Belleair Bluffs are inundated with contaminated water, this is the result. 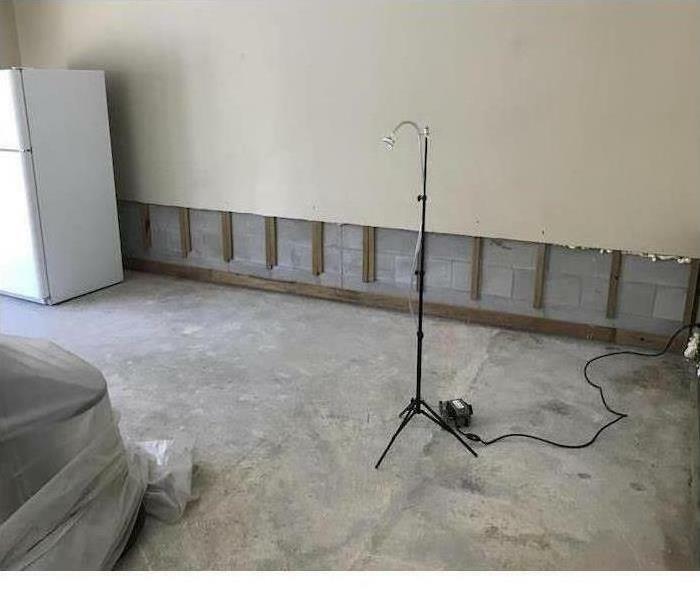 Soaked and filthy drywall must be "flood gutted" and discarded. Drying out the affected area needs to be verified before a company can come in to rebuild the damaged rooms. Happy Veterans Day. Our team would like to take a moment and say thank you to every single veteran for their service. Veterans Day was first celebrated on November 11, 1919 which was the first anniversary of the end of World War I. We appreciate all you do to keep us safe. We do more than emergency cleanup and restoration after a fire or water-damaging event. 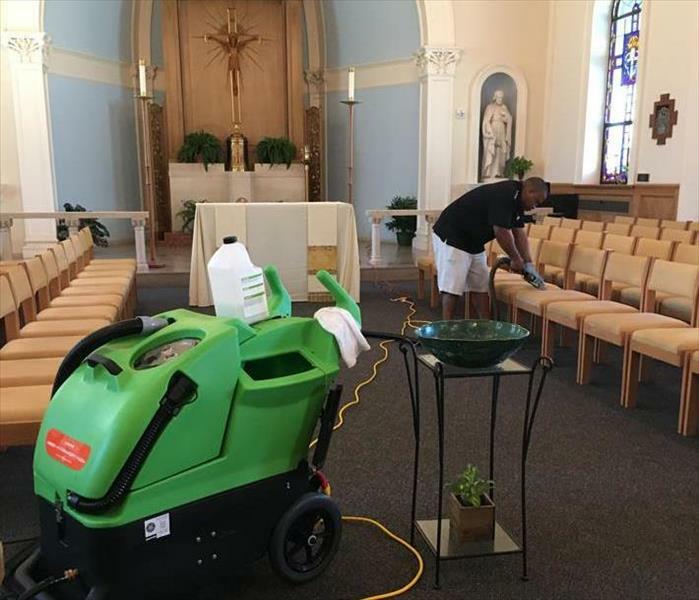 SERVPRO, with skilled and qualified technicians, also offers scheduled maintenance programs to keep your Largo office or place of worship clean and pleasant. Our tech is using our industry-leading steamer and commercial grade cleaning products to renew the upholstery. We strive for complete customer satisfaction. A homeowner in Largo called us about a water damage incident at their residential property. 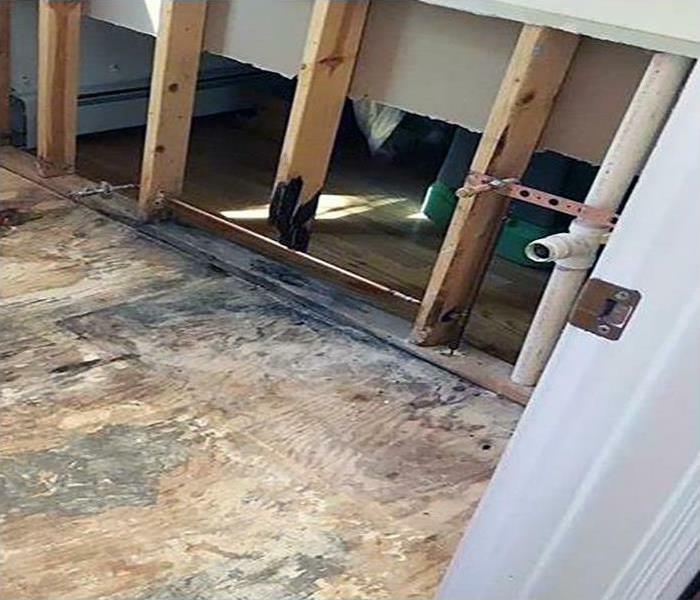 Water damaged their expensive hardwood flooring. Drying hardwood flooring is a complicated process. Our crew of skilled technicians quickly began to remove any water to prevent possible mold growth or secondary water damage. 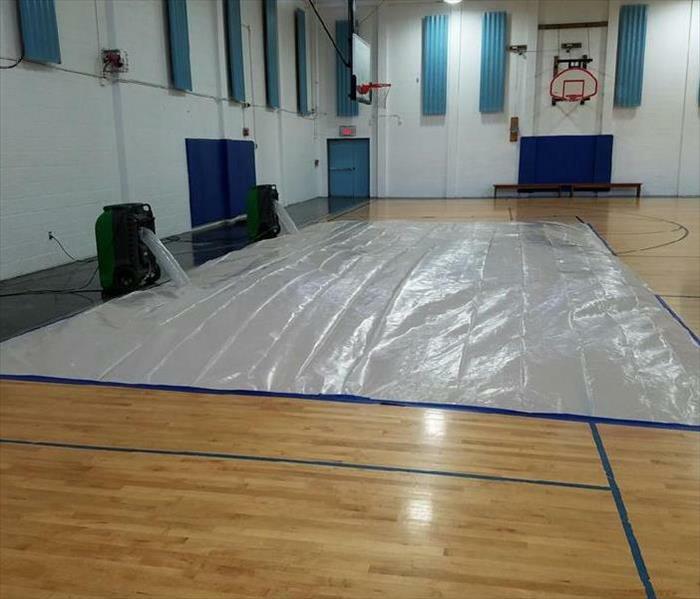 Using high-speed air movers and dehumidifiers, we were able to thoroughly dry their flooring. We repaired and restored the hardwood to new. 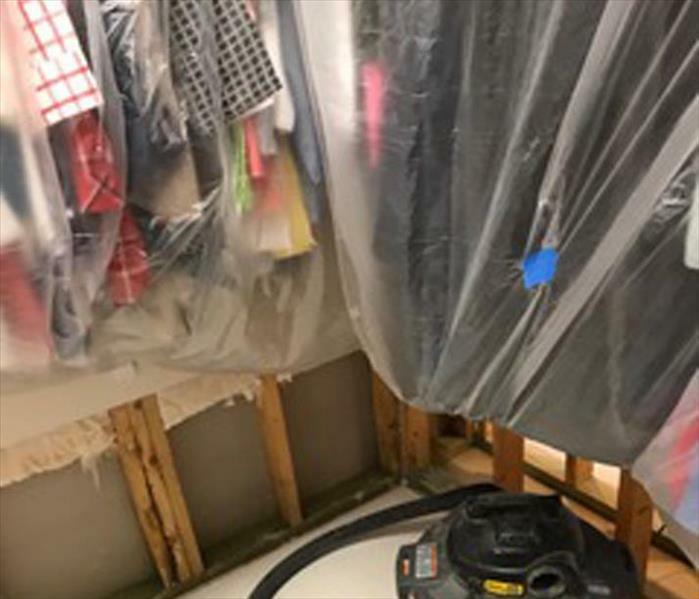 The nearby water leak in this Largo home flooded the carpet and the lower section of the drywall. 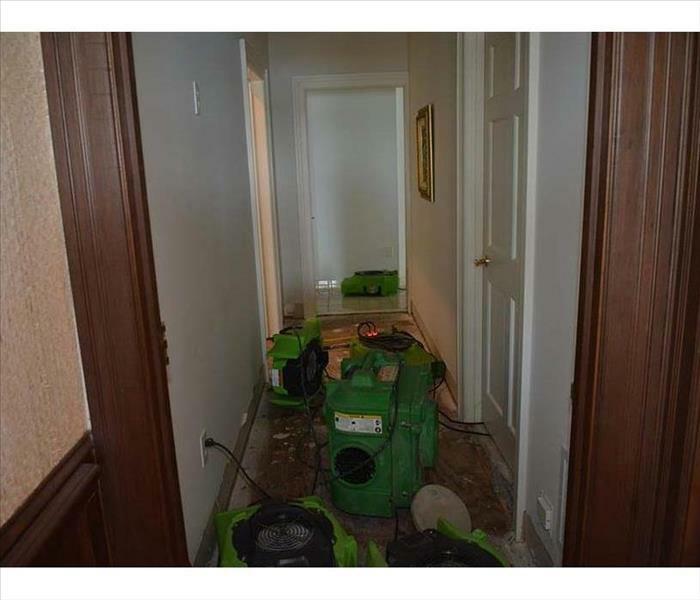 SERVPRO mitigated damages by quickly removing the water and damaged walls. This wet-vac, our customer's equipment, was put back where we found it after removing our drying gear. 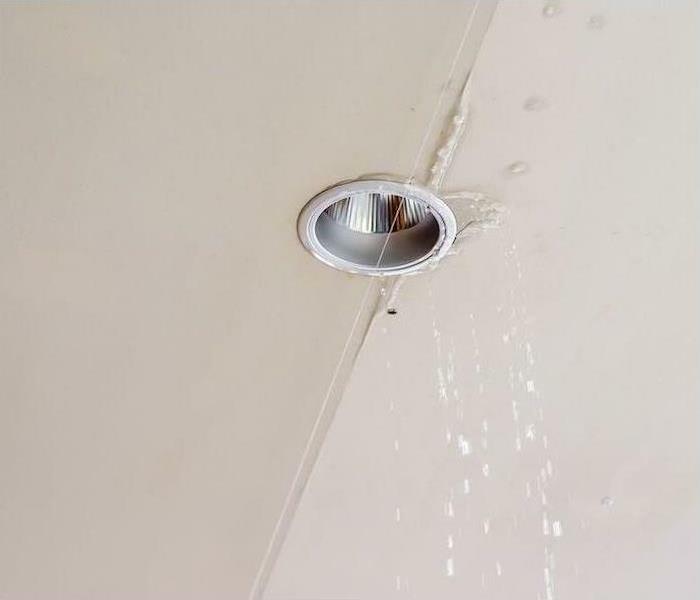 Commercial water damage should always be cleaned up quickly to prevent secondary damages from the water, but when the water leak is directly on an electrical fixture such as a ceiling light the urgency increases. 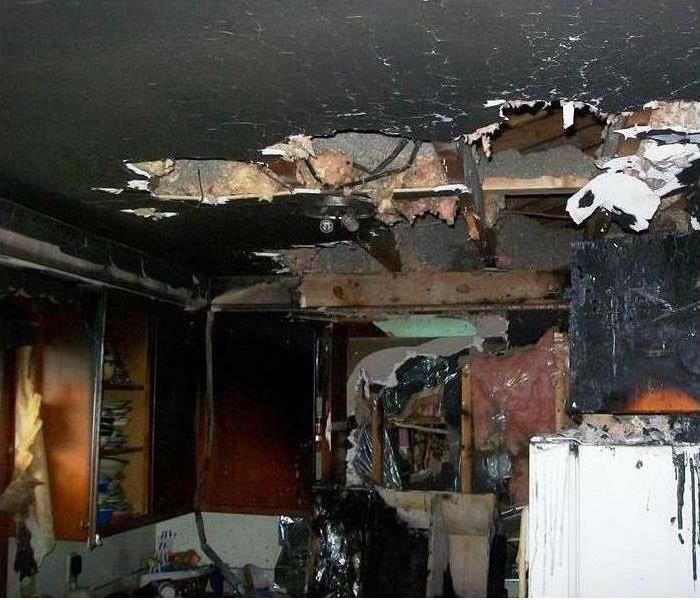 Fire damage struck this Largo home when a kitchen grease fire burnt hot enough to set the ceiling of the room on fire. SERVPRO of Largo was contracted to clean up the damage. We cleaned up the water damage and tore out the damaged building materials followed by odor control and a complete rebuild of the kitchen. The unit in this Belleair Bluffs house was drenched with storm water from a malfunctioning downspout. The water was gray, not highly contaminated which simplified the water removal. Our green machines work hard to remove the moisture after the water is gone. 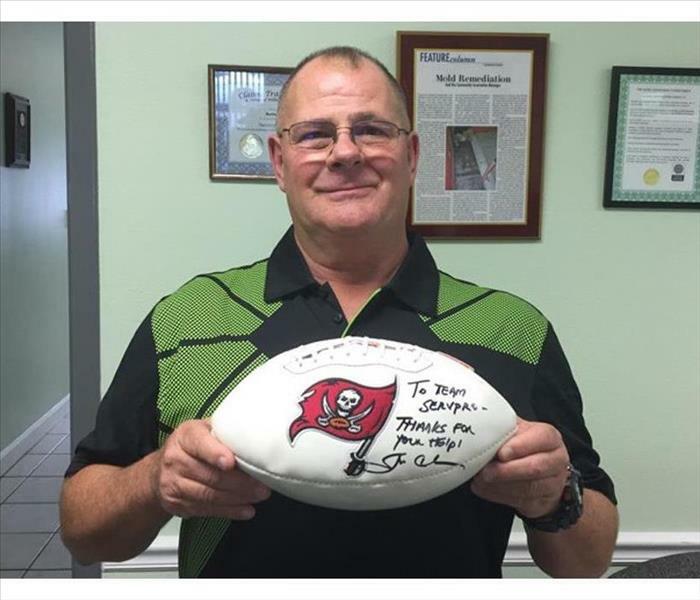 Our franchise owner and head coach, Buddy Greenway, proudly displays the autographed Tampa Bay Bucs Football signed by Jon Gruden. Coach Gruden is thanking Team SERVPRO for restoring his water damaged condo in Clearwater Beach. We win Super Bowl XXXVII daily because "Every Day is Game Day!" Call on Team SERVPRO of Largo for water damage cleanup. The sheen on this floor after a SERVPRO night crew worked its magic speaks for itself. 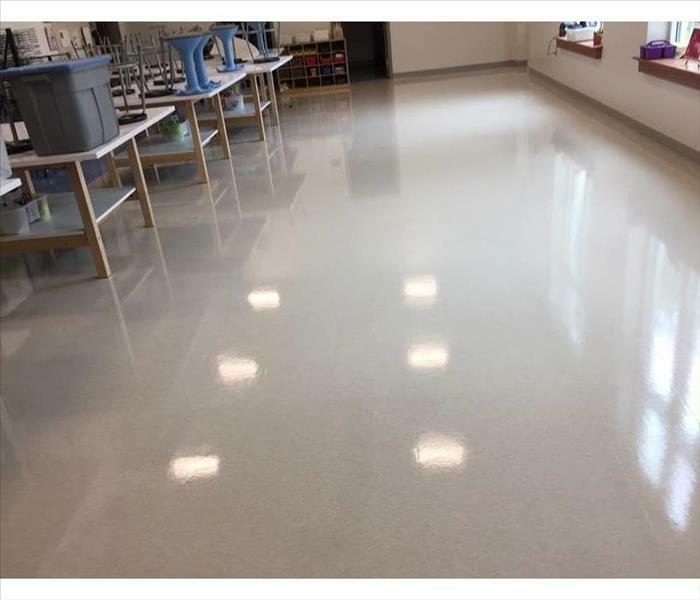 Our IICRC industry certified technicians can strip this commercial vinyl floor of built-up wax, dirt, and grime on a scheduled maintenance program or as a one-time request. The baseboards and corners receive special attention, and all the desks and tables are returned to their exact locations. In this case, we cannot say "Like it never even happened." It looks better! 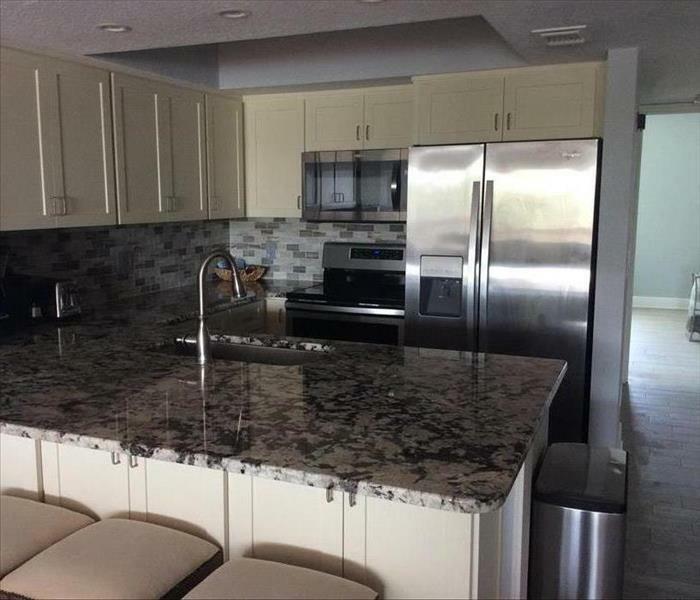 This condo in Belleair Bluffs was dramatically damaged by a mold infestation. The HVAC broke down, and the moisture buildup resulted in this bad situation. Demolition of ceilings and walls was needed as the first step in the mold remediation process. Always have someone look in on your winter residence in the off-season. 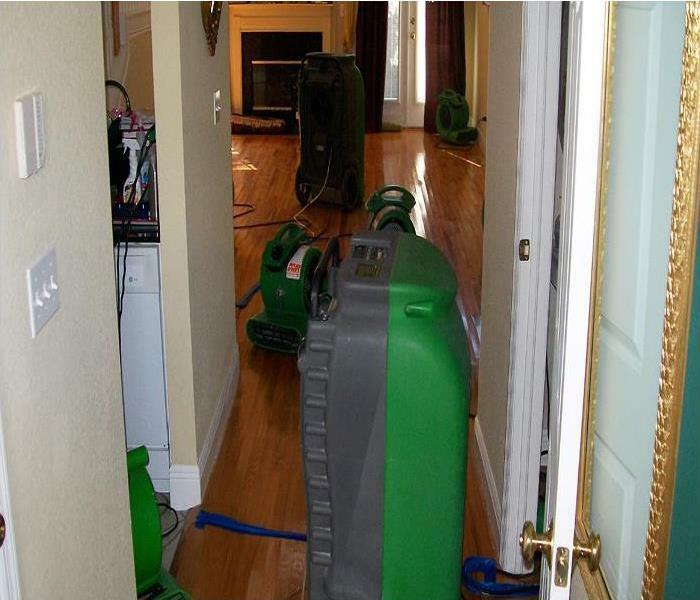 A ruptured water line in a water heater soaked the carpeting in the hallway and living room of a home in Belleair Bluffs. The discarded flooring allowed for setting up air movers and dehumidifiers to continue with the drying process. 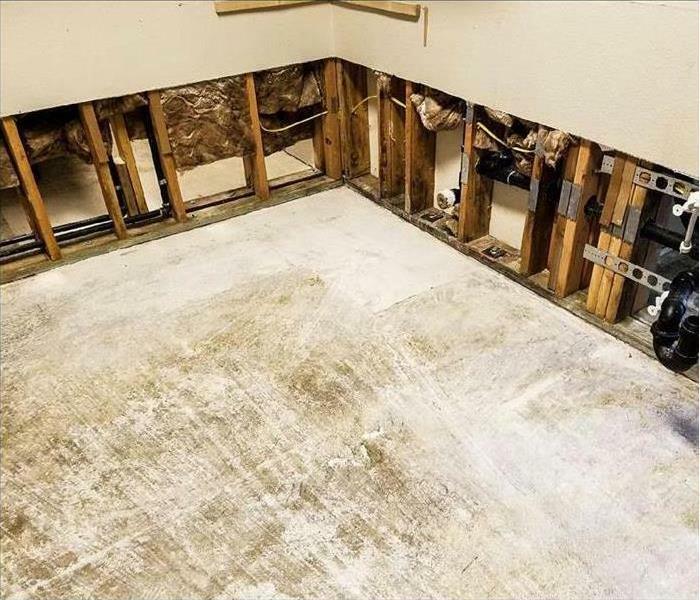 Rapid water removal salvaged the baseboards and walls, limiting expenses and making the homeowner very satisfied with a SERVPRO service. Storm damage occurred at this Largo home when the roof was damaged during a storm. Rainwater entered the attic area and collected above the interior ceiling. Once the weight was too much for the drywall ceiling, it collapsed into the room below. 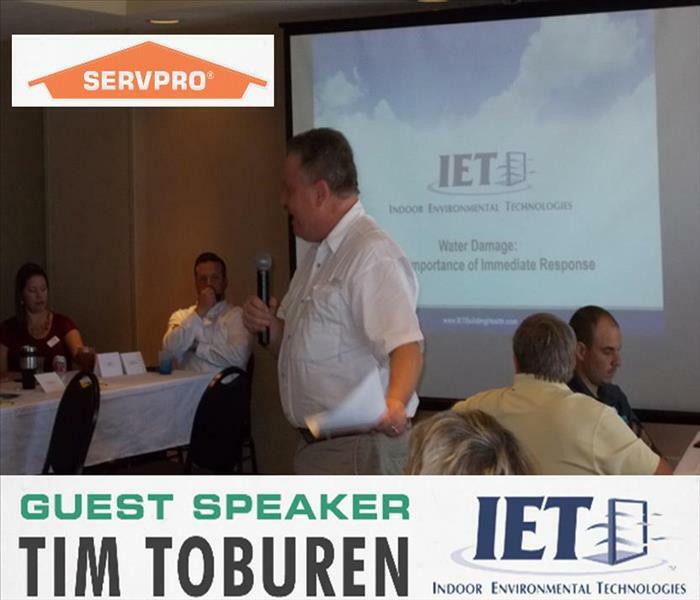 This Lunch and Learn event highlighted Tim Toburen of IET, Indoor Environmental Technologies as our guest speaker. We, at SERVPRO of Largo, are happy to assist our local business community by offering continuing education courses for property managers, HOA's, real estate professionals, property owners, insurance agents, and insurance adjusters. Our community is heavily committed to tourism and catering to our seasonal residents. The West Coast of Florida is known for tropical storms leading to flooding in hotels, condos, and various business establishments. These educational programs are designed to improve knowledge and reduce the negative impacts of emergency water, fire and mold issues. We can help you prepare your commercial property for any sudden emergency with the SERVPRO Emergency READY Profile mobile app. Call us at (727) 586-0060 for a consultation or service. 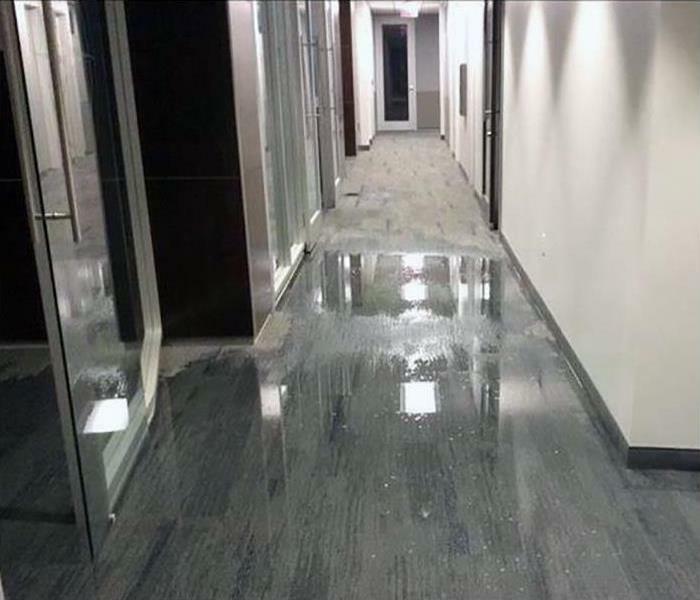 Commercial water damage resulted from a sewer backup in this Largo office building. As the photo shows SERVPRO of Largo technicians clean every inch when they go to work. They are shown in the protective gear required when dealing with raw sewage. 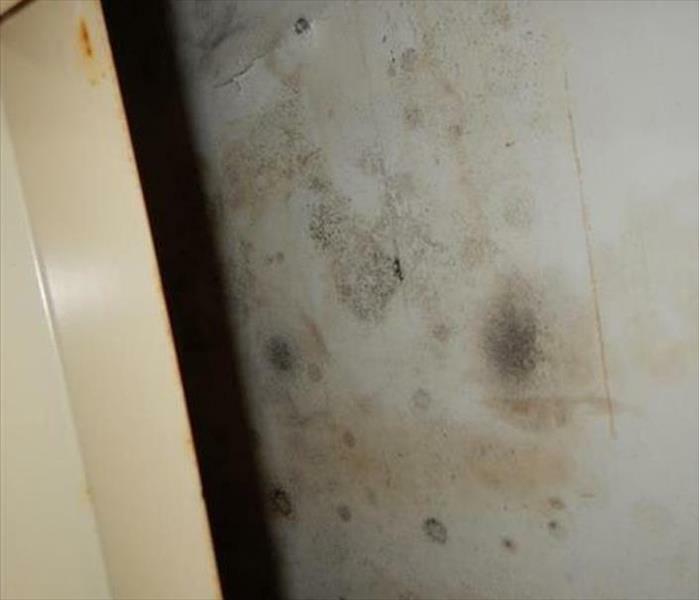 Mold damage in Largo often requires the use of containment area as shown in this picture. The reason for the containment area is to contain any mold spores that become airborne during the cleaning process. Hepa filtration systems and air scrubbers are also employed to inhibit the spread of mold spores during remediation. 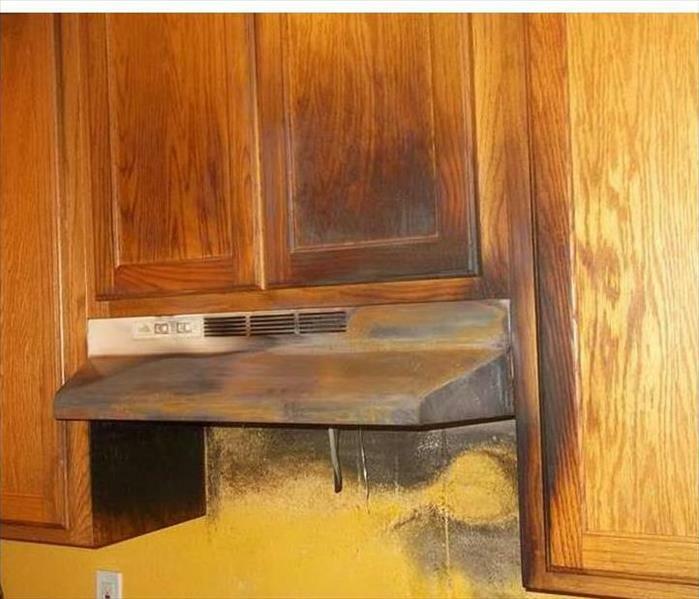 Kitchen fires are all too common; a greasy, dirty vent ignited, and smoke and soot damage was the result. Though the cabinets can be refinished to look "Like it never even happened," the odor was very unpleasant. We wiped down the soot, cleaned the vent filters, and set up hydroxyl generators to eliminate the bad smell. SERVPRO of Largo's Fire Cleanup & Restoration Team worked very hard to make this Fire damage in Pinellas Park "Like it never even happened". As you can see from the before and after pictures they did an excellent job, and the customer was truly dazzled! When the need arises, call the team with 33 years of service to the local community. 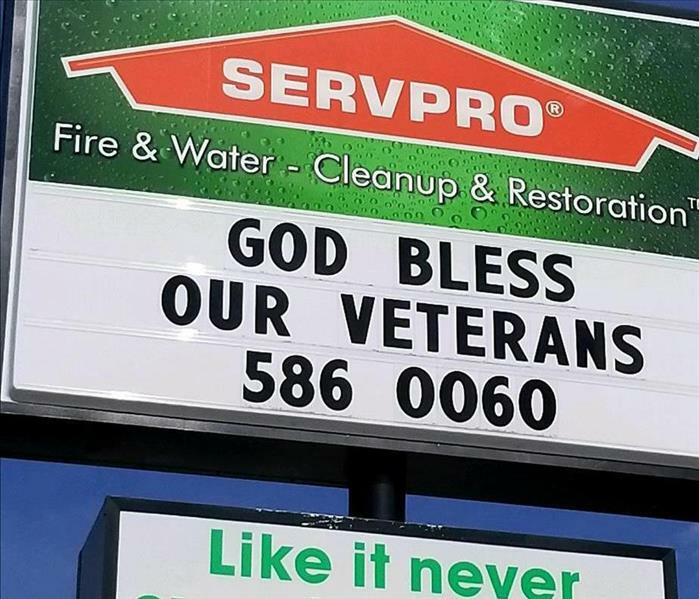 Call SERVPRO of Largo! (727) 586-0060. SERVPRO OF Largo Saves Another Floor!